This is an involved recipe, so it’s lots of fun if the family joins in. Children can do lots of things to help in this recipe! Very little ones (2-4 yrs) can help an adult put the butter, onions, apples, and ginger into the pot. Ages 5 and up can scoop out the cooked squash. Kids 8 and up can make chicken broth, as demonstrated here. Preteens and teens can chop ginger, onions, and apples; sauté, blend, and set up the Instant Pot, in addition to following the entire recipe. 1-1 1/4 teaspoon salt, to taste (If your broth is salted, omit this salt). Wash outside of Butternut Squash and place whole squash in your Instant Pot, on the trivet, if possible. If your squash won’t fit, cut in quarters and then place pieces in pot. Add 1 cup of water. Close lid. Check release valve, set to <Sealing>. Select <Manual> or <Pressure Cook> program. Set pressure cooking time to 15 minutes under <High> pressure. While squash is cooking, chop onion, apples, and ginger. When cooking time is finished and the Instant Pot beeps, Quick Release the pressure by carefully turning the release valve to allow heat and steam to escape. Open the lid and allow the squash to cool for a few minutes before trying to remove it. When squash is cool enough to lift out of Instant Pot, remove and place on a cutting board to cool. If needed, cut in half. Scoop out seeds and pulp from inside and place in trash bowl. Then scoop out butternut squash flesh into a large bowl and throw away the peel. Pour excess water into sink and return empty insert to Instant Pot. Set Instant Pot to Sauté. Place butter in pot and allow butter to foam up and then settle. Add chopped onions and about 1/2 teaspoon of salt, and sauté until clear and browning slightly on edges. Add chopped ginger and saute for 2 minutes. Season with nutmeg. Place quartered apples in Instant Pot. Add 1 cup of the chicken broth. Close lid. Check release valve, set to <Sealing>. Select <Manual> or <Pressure Cook> program. Set pressure cooking time to 1 minute under <High> pressure. When cooking time is finished and the Instant Pot beeps, Quick Release the pressure by carefully turning the release valve to allow heat and steam to escape. Once float valve drops, open Instant Pot and transfer entire contents into blender. Blend until mixture is smooth. (It will turn almost white). Pour back into empty Instant Pot insert. Next, add 2 cups of the chicken broth and half of the squash to the blender. Blend until smooth. Add to Instant Pot to join with onion, apple, and ginger mixture waiting for company. Repeat. Add remaining chicken broth to IP (should be one cup) and stir well. Close lid. Check release valve, set to <Sealing>. Select <Soup> program. Set pressure cooking time to 4 minutes under <High> pressure. When cooking time is finished and the Instant Pot beeps, allow to Natural Release for at least 5 minutes. When you are ready to serve, Quick Release any remaining pressure by carefully turning the release valve to allow heat and steam to escape. Once float valve drops, open Instant Pot. Add cream. Stir well. Avoid boiling. Taste, and add salt and black pepper as needed. Serve. 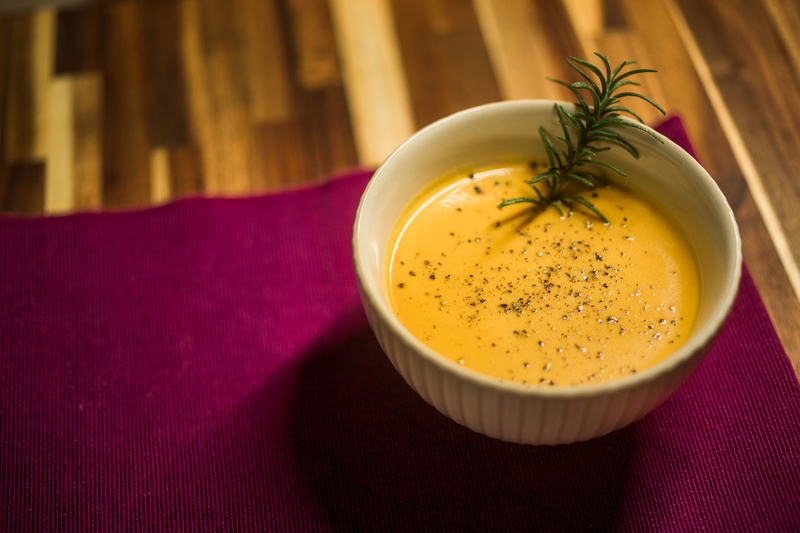 You can use frozen butternut squash if you can find it, just adjust pressure cooking time to 8 minutes. Substitute coconut cream for heavy cream and coconut oil or ghee for the butter to make this dairy free. 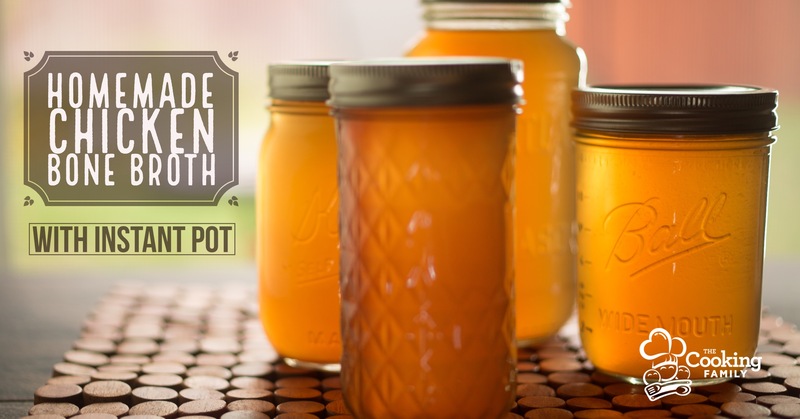 We use unsalted, homemade chicken broth. If you are using salted broth, leave salt out, then taste and season with any needed salt at the end. This recipe freezes perfectly. After step 8, do not add cream. Allow to cool completely. Freeze in a gallon size or multiple quart size ziptop bags. When ready to use, thaw and reheat. Add cream when soup is very hot, but avoid boiling after cream is added, or it will curdle. How to you reheat this if frozen. Thanks for the video. Hi Suzanne! Thanks for watching! This soup can be reheated in many ways, depending on your needs. I think the easiest option would be to set it on and pressure cook for 1 minute in the IP. Then you could open it up and add the cream and leave it on Keep Warm until you’re ready to serve. You could even throw your frozen hunk of soup in the Instant Pot with a little extra broth to get the steam going. It would thaw as it comes up to pressure. The soup could also be reheated in the Instant Pot using the Sauté feature, which would be faster, but you’d have to stir it to make sure the bottom doesn’t get too hot. Reheating on the stove in a soup pot would be similar to this, but also a good option. After it is hot, it could be kept warm for serving in a slow cooker. This would be great if you want to serve guests over a longer period of time. 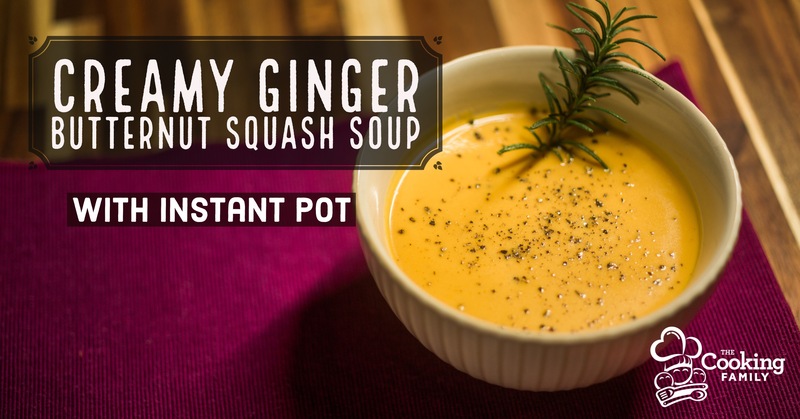 I assume you are using an 8 qt Instant pot for this soup? 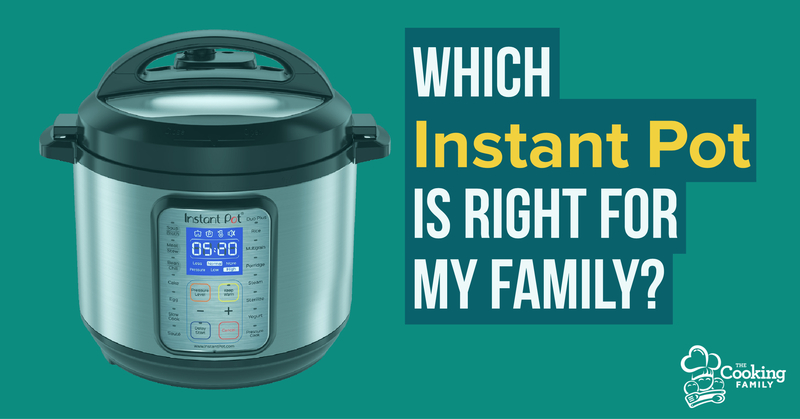 I have a 6qt Instant Pot. How would I modify the ingredient amounts for the 6qt? Hi Laura, all of our recipes are written and tested for the 6 qt. We did use our 8 qt in the video, but we didn’t fill it up. You should be able to follow this exactly. Thanks!